Radios sold in North Korea are pre-tuned and sealed to prevent listeners hearing anything but official radio. Kim Jong-il's totalitarian regime keeps an iron grip on the media, and tries to block news from abroad. Several thousand people have been sent to re-education camps for listening to foreign language radio. Those chilling words, which hopefully may be read by participants in cultural diplomacy, come from Reporters Without Borders (Reporters sans Frontières). This Paris based non-profit organisation operates wherever press freedom has been banned or compromised. It carries on a global fight against censorship in any form, including on the internet. It also fights worldwide for the release of imprisoned journalists. Tyrants are no longer the only ones trying to muzzle the media. Gang leaders, mafia members, fundamentalist leaders, militiamen, rebels, corrupt businessmen, and even entrepreneurs bent on gaining new market shares have joined them in this quest to control information. The primary source of funding for Reporters Without Borders is the sale of books of the work of leading photo journalists who donate use of their images in support of the organisation. 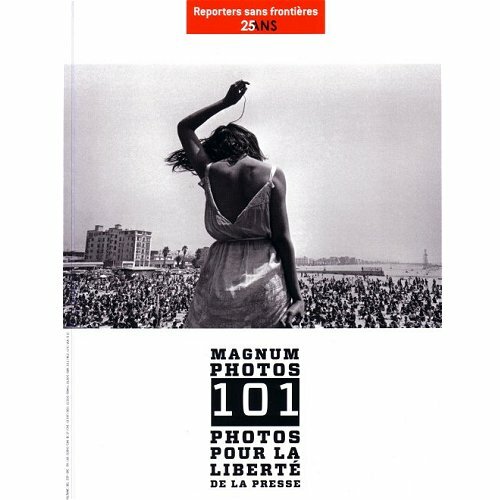 My header and footer pictures show the album by Magnum photographers published in March 2010. 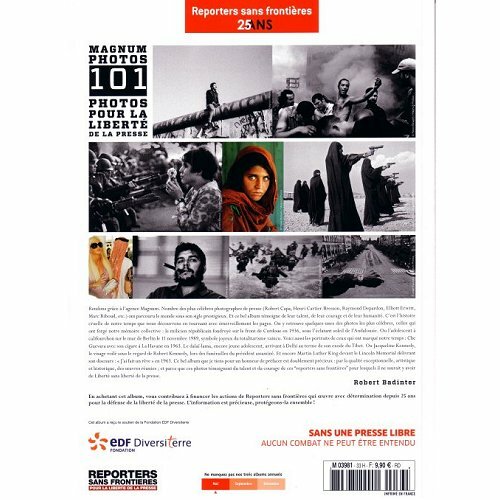 At 9.90 euros these books are a 'must buy' for their content, yet alone the work they support. The cover photo above was taken by Dennis Stock at the Venice Beach rock festival in California in 1968. Readers may recognise the color image in the centre of the montage below as being used in Soli Deo Gloria's Bach cantata series. It is by Steve McCurry whose work featured here in The Essence of India.